Akaya is a single weight experimental display typeface in Kannada, Telugu and Latin scripts designed in collaboration with Vaishnavi Murthy (Bangalore, India). 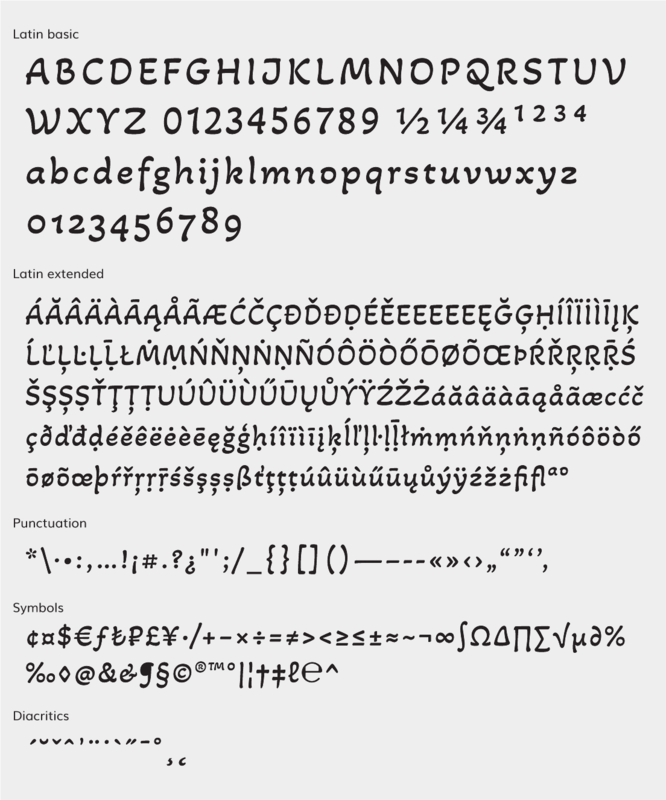 Akaya Telivigala and Akaya Kanadaka are made as two separate font files which share a common Latin. 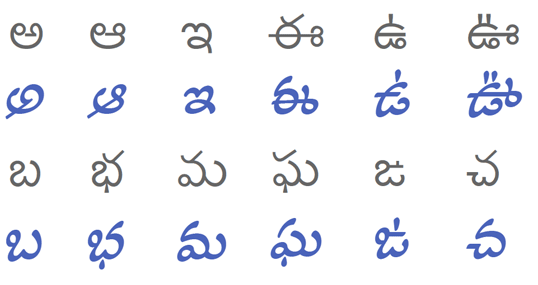 The goal of the project was to design a typeface that harmonizes gracefully the Kannada, Telugu and Latin scripts. Kannada and Telugu were first developed by Vaishnavi. Later I undertook the design of a matching Latin. In order to go beyond a plain stylistic harmonization, assessing how Vaishnavi’s proposals were “behaving” within their specific conventions and writing traditions was the first step. The fact that Telugu and Kannada were designed breaking some customary rules related to contrast, stress and ductus, led me to experiment with the same variables and alterations regarding the Latin script. The process happened to be as challenging as enjoyable. I believe it gets reflected in the final result. Akaya Teligavala (in blue) and Lohit typefaces compared.